On 18 October 2015, Michael Fullilove delivered the final 2015 Boyer Lecture, entitled The Birthplace of the Fortunate. 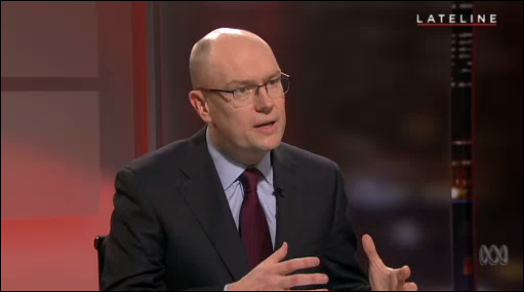 On 21 September 2015, Michael Fullilove appeared on Lateline on the ABC to discuss Australia’s role in a changing world order ahead of his Boyer Lectures. On 14 November 2014, Executive Director of the Lowy Institute Dr Michael Fullilove spoke to the ABC's Leigh Sales about issues surrounding the G20 Summit in Brisbane. Is speechmaking a lost art in Australia? On 12 August 2014, Michael Fullilove appeared on ABC News Breakfast, discussing the second edition of Men and Women of Australia! Our Greatest Modern Speeches. On 28 July 2014, Penguin Australia launched the revised second edition of Michael Fullilove's Men and Women of Australia! Our Greatest Modern Speeches. The keynote speaker was the Hon Malcolm Turnbull MP, Minister for Communications. Book Launch: 'Men and Women of Australia!' Speeches by Malcolm Turnbull and Michael Fullilove from Lowy Institute for International on Vimeo. What makes a 'great speech'?